Peltor's In-Line Push-To-Talk (PTT) adaptors are available for selected Icom radio models. 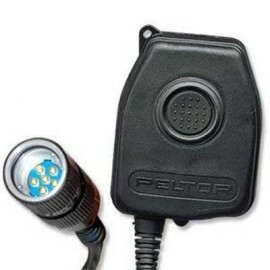 The PTT adaptor is palm-activated and has a waterproof design. These PTT adaptors can be used with the Peltor Ring Finger PTT accessory (TK55) by selecting 'Auxiliary Jack' option before adding to cart. For additional help in selecting the correct Icom In-Line Radio PTT Adaptor Cables, please contact our customer service support team.